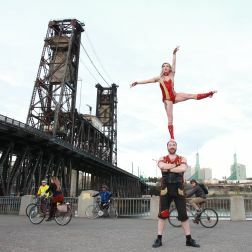 The Rose City Circus features premier acrobats from Portland Oregon. Always looking to expand and defy expectations of what acrobatic circus can be. They were recently seen on ABC’s the Gong Show where they received a perfect score and a championship trophy!